Welcome to Congregation Agudat Achim. 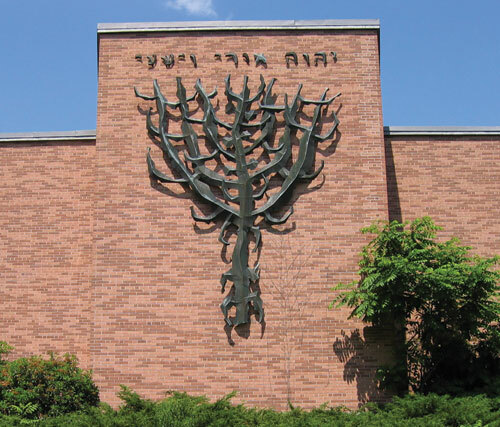 Although we are also called the “Leominster Synagogue” we pride ourselves on being the Jewish presence in North Central Massachusetts and South Central New Hampshire and have members from many towns and cities. Our synagogue is a friendly place. We may be smaller than synagogues in larger cities but this enables us to be that much more welcoming to everybody in our community. Nobody is taken for granted and our support for others in times of both joy and sadness is untiring. Interfaith families are welcome. Our yearly calendar is filled with special events; luncheons, and many other social gatherings. We have adult education programs as well as a tuition free Hebrew school. All of these serve to bring us together as a community; sooner or later you realize there is nobody you haven’t met. Please call us up and let us know if you are interested in the Jewish experiences we have to offer. Our outreach committee will contact you so you can learn firsthand how friendly and caring we are.